Now, I know what you’re thinking “Another list and in the middle of February no less?” Well unlike my Best of 2011 (#25-20, #20-16, #15-11, #10-1), my awards (Nominees, Acting Winners, Behind the Scenes Winners and Film Winners) and my horror list timeliness isn’t as much of a concern with this list because I am discussing my favorite older films that I viewed for the first time last year. I have to tip my hat to @bobfreelander from whom I first heard of such a notion. Now I was hesitant to backtrack through 2011 but in seeing all those he posted I just had to and I’m glad I did. I could have split it up amongst some Honorable Mentions, Well-Known Films I Just Happened Never To Have Seen and Films I Never Heard Of Then Saw And Loved but I decided to throw them all into the same heap and unranked no less! Discovering an older film you enjoy is a pleasure so I decided to not add the stress of splitting hairs, plus as Awards season winds down we’re all tiring of rankings anyway. So I picked 31 titles that I most enjoyed. I always seek diversity and balance when making these lists up and I think this may be the most mixed bunch of all. Enjoy! I already wrote at length about Mrs. Miniver in the link above. Suffice it to say like any “through the years film” of a certain length you must give it time. 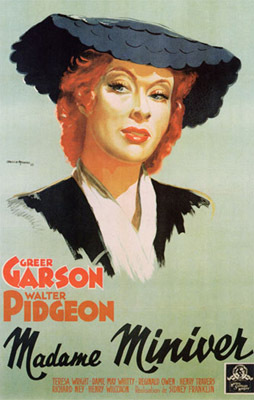 I watched it for Greer Garson any loved it all. 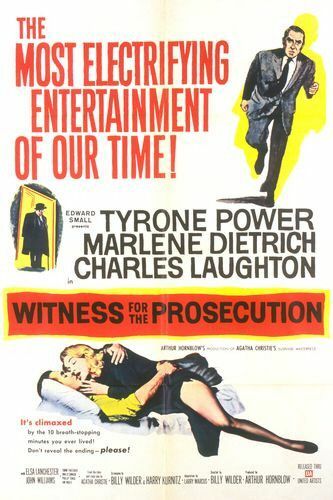 Courtroom dramas don’t come much better than this, Charles Laughton in top form and Marlene Dietrich steals every scene she’s in. It’s as compelling as it is entertaining. This is a movie night special. It was picked from Netflix as something to try. I had, and still have, avoided the remake but I really enjoyed this film, great horror/comedy as usual from Dante. 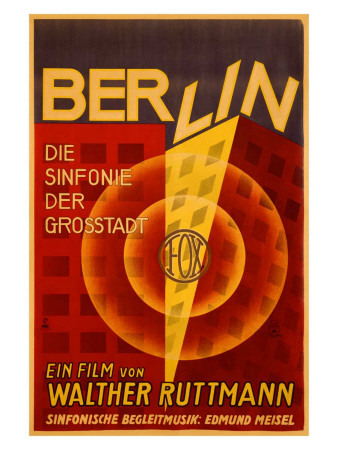 This is one of two Frank Henenlotter films on my list. This one, in spite of its effects, I interpreted as a less comedic, more horror approach than the second film based mostly on conception, execution and tone. I was told I’d enjoy it and I did because the concept really works. There will be a few films on the list which will be somewhat emblematic. The first Tarantino I saw was Kill Bill. I never really backtracked until last year for many reasons. When I did this, and not Pulp Fiction, was my favorite. Here’s Joe Dante again. In some cases when I was trying to break ties I tried to have another director represented but in others I knew I had to have the film on the list and didn’t give it a second thought. 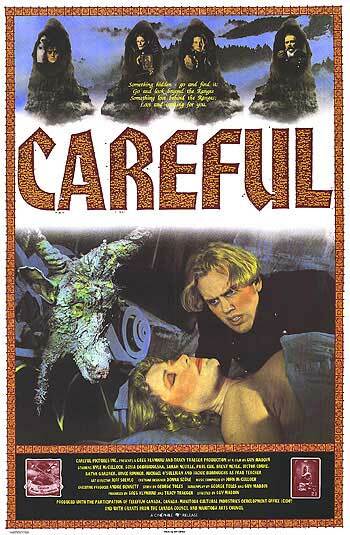 Here’s the best film I saw when I was on my werewolf kick. 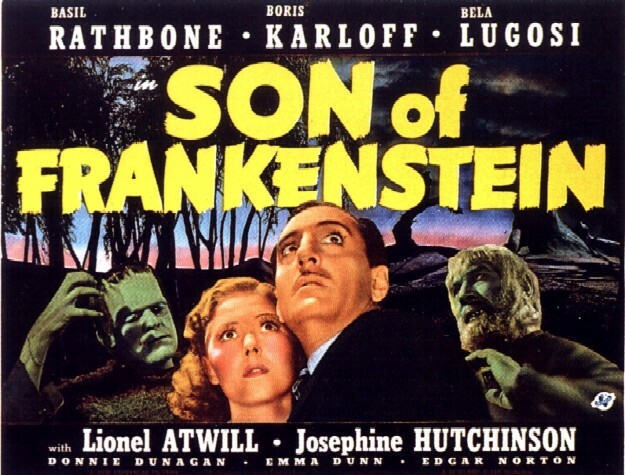 I really should and could get all the Universal box sets but the one I found cheap was Frankenstein. I found all of them enjoyable to a different degree but I concur with the sentiment that this is better than the original. 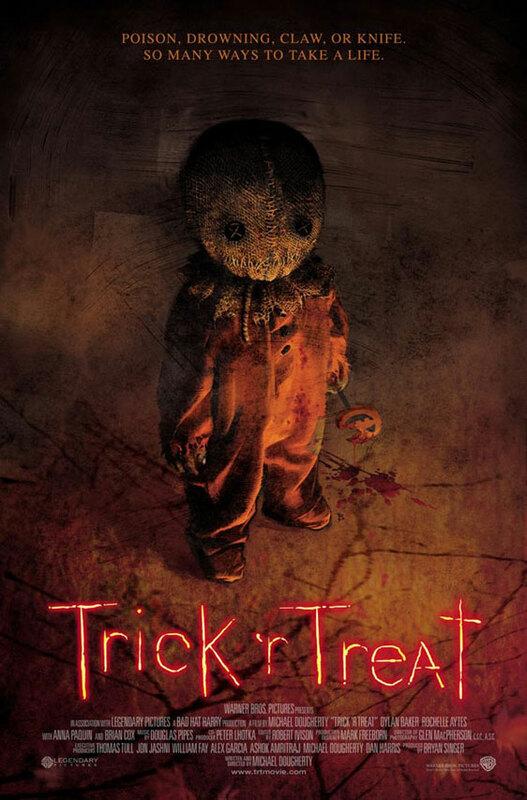 Being a fan of the horror genre I don’t know how I managed to avoid this one for so long and didn’t have it ruined for me but nonetheless I loved it and went in after the hype had died down, which was a plus. I really have to get better at completing filmographies. 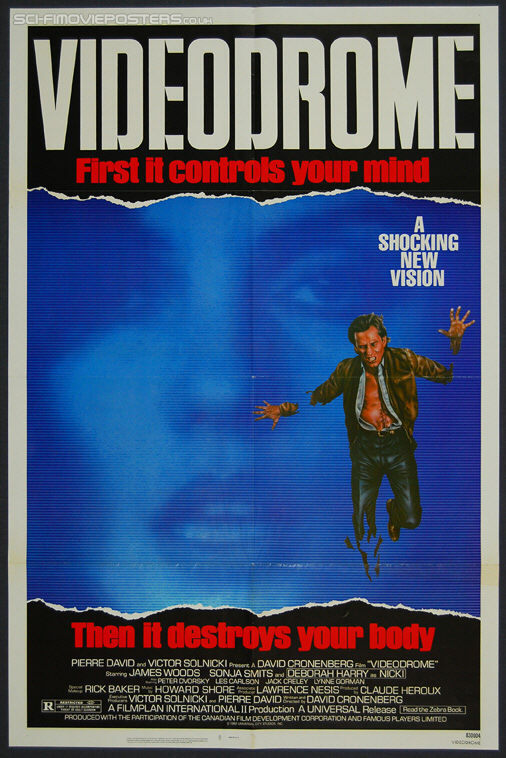 I saw Spider shortly after it came out and absolutely loved it but never made a concerted effort to seek more Cronenberg. I caught a few this past year. This was the best one I saw. Though the found footage subgenre is running out of wiggle room I did ask for suggestions, and thankfully got good ones, and I love both these films but I really love the way this one flipped the series on its ear. Jaume Balagueró is a director I had to pick just one film for and whose name makes me press play. In my review of The Turin Horse I talked about how there’s only baptism by fire when it comes to learning Tarr’s canon and no film is really an ideal starting point in my estimation, no prior film. 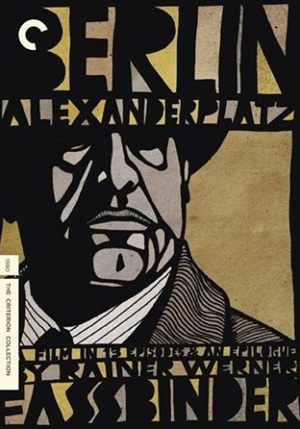 Well, Fassbinder does likely have a logical starting point of his own but I decided to start here. Yes, I watched it. All 894 minutes or so, by Netflix discs no less and I’d wait for them and watch them immediately upon arrival and I loved it. Some of my favorite movie watching moments last year were having my morning coffee and playing the next few chapters. Not only did I like the whole thing but then in the very last section it absolutely blew my mind by the direction it took and how brilliantly and boldly it went there. So now I need to figure out where to go from here but it was a wonderful place to start. I had the chance to see more of Guy Maddin‘s features last year (as I am rather well-versed in his short films) and this one took the cake, what an incredible concept and handled as only he could. I probably won’t say anything about this film that hasn’t been said before except to repeat that it’s stunning, original and inspirational. I love serials. I have since I first learned of them. One of my first posts on this site was about feeling gypped by purchasing a “composite” (i.e. a feature film version which makes practically no sense). However, my affection for them has far exceeded the rate at which I’ve been able to see them, so if I have a chance to, like on Netflix for instance, I usually do. 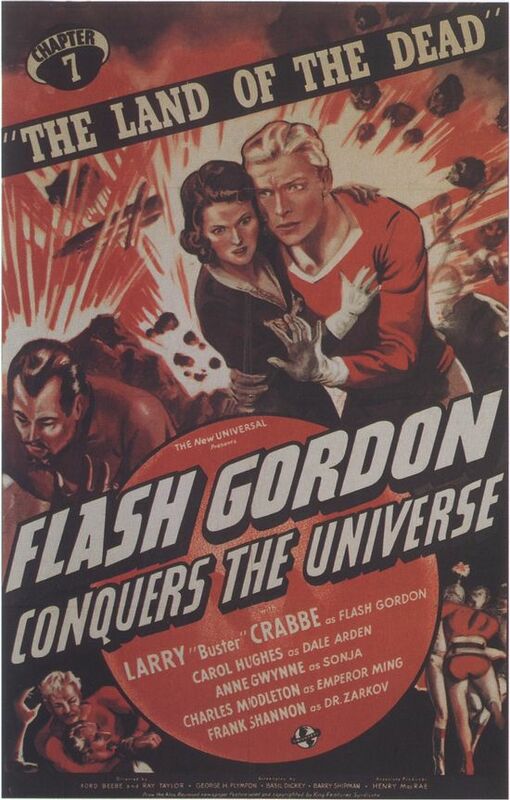 This is the first Flash Gordon I encountered and though I’ve seen a few earlier this one is still my favorite of them. One of the most accurate titles you’re likely to see. 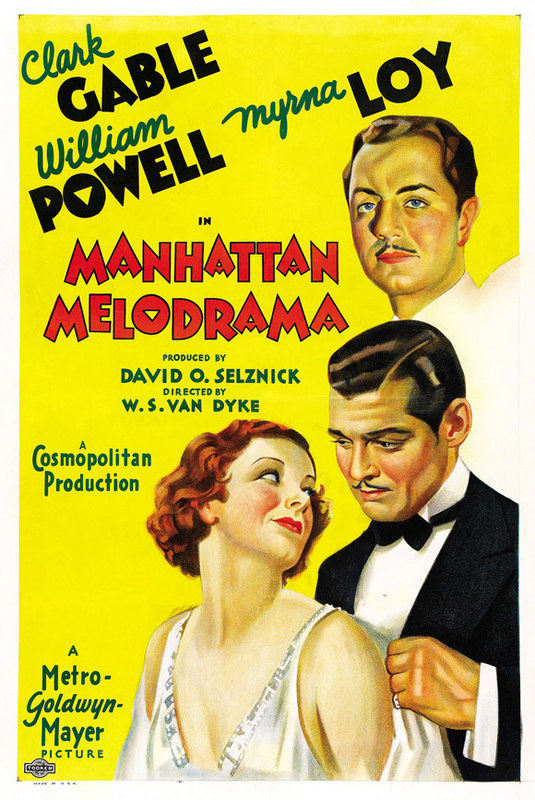 It is the day in the life of a major metropolitan area but the way it’s cut and shot really is symphonic. 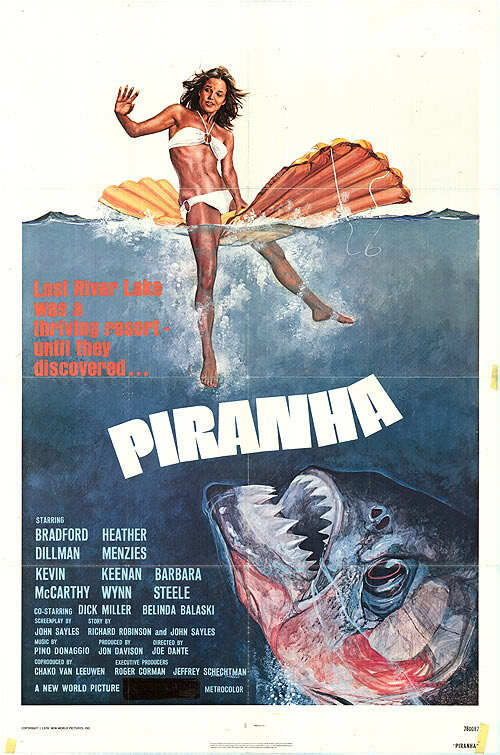 Last year was notable because I was able to finally see some B-Movies that wanted to be funny and actually were. This is one of them. This was a favorite of my best friend in junior high but I had no interest in seeing it at the time. I’m glad I finally did. I am not one who subscribes to the theory that Eisenstein’s films are more important than they are enjoyable. 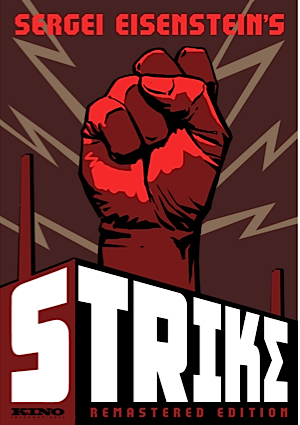 I think his contribution to film touches every possible facet of it, it’s complete so, yes, his work important but not a chore and I enjoyed seeing Strike very much. 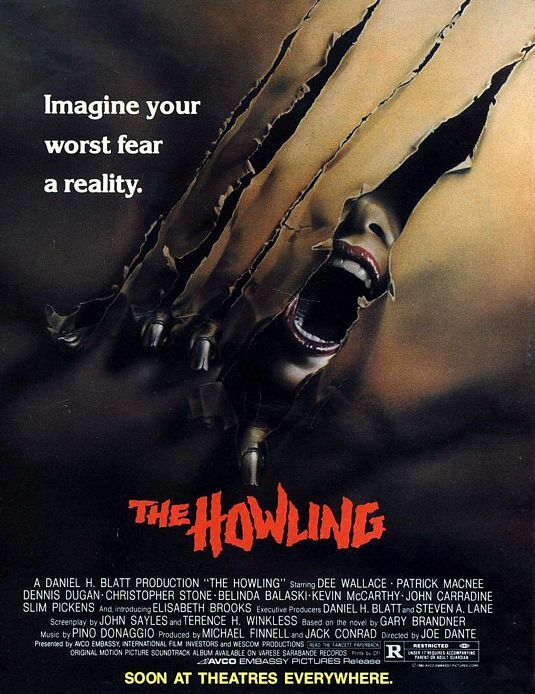 I remember after I saw this film I tried to remember where I first heard of it: it was in Stephen King’s non-fiction book about horror Danse Macabre. He listed it in an appendix as one of 100 excellent horror films released between 1950 and 1980 or so. I agreed with his assertion immediately. It’s a jarring film but brilliant at both ends so to speak. This is a film I caught during 31 Days of Oscar last year and it’s part of why I love the festival. You will turn up some surprises or films you never saw. I love the title too, the film knows what it is but does it so well and is very memorable for that reason. This is a movie I found at my local library and more proof that you need to use all sources available to you to find worthwhile films. This movie is not an easy one to watch as it deals with kids who live on the street whether kicked out or have run away and the harsh realities they face and what needs doing to survive. The film could be more sensationalistic than it needs to when dealing with subject matter such as child prostitution, juvenile delinquency and so on, barring one scene the film handles it all very well. 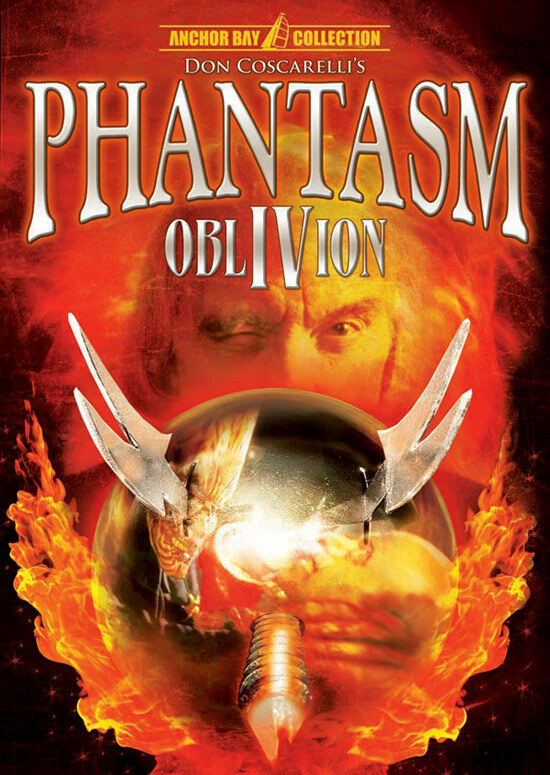 I have to see the Phantasm series again. If there’s not a box set there should be. I’m not sure there’s a horror series with a better, more consistent through-line than this one, which continuously adds layers to the equation. I saw them all as they popped up on Netflix and it’s hard to say which of the last two I enjoyed more but they really do need revisiting, it’s fascinating stuff. This is a great documentary because all it does is shed light on an issue and give you food for thought, it gives you facts. 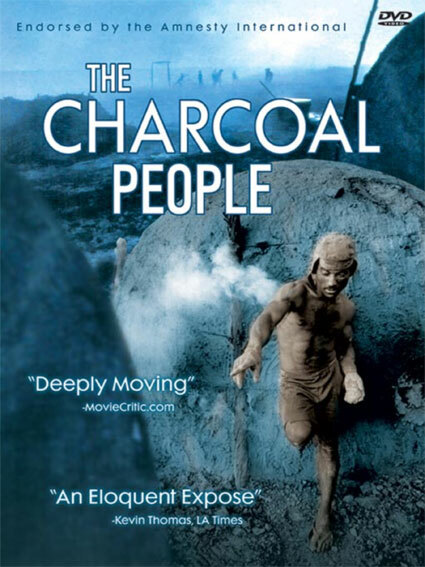 Charcoal People is about Brazilians who cut down trees to make charcoal that is sold to international car manufacturers to make pig iron, which is, of course, the cheap construction solution. Much of it deals with these people’s lives eloquently and poetically but it also addresses deforestation and the conundrum they face, essentially they don’t want to contribute to the deforestation of the Amazon but they have no other means to make a living. It’s powerful stuff. 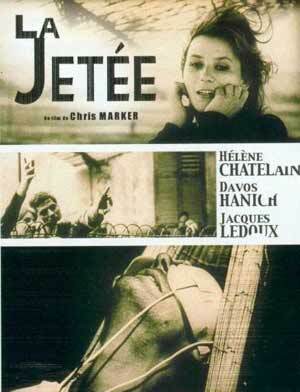 This is a film I knew about for sometime. It did some festivals but sat in the can for a while. Then I heard there was a premiere but never saw any evidence of the film say like a DVD. I figured it was just going to be one of those films I never saw because I couldn’t. Well, the world is a funny place. Much the way certain musicians retain or have popularity in unexpected regions so are the curious ways of distribution deals because I saw this film on a premium movie channel in Brazil. It’s an interesting one which has its first plot point feeling very climactic but it doesn’t really slow down from there (As a matter of fact my aunt wondered what took me so long because passing through she thought the movie was nearly over) and I really enjoyed it. 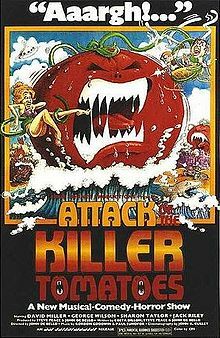 In some ways it’s like a lot of kid’s movies but it does have a unique combination of elements and always keeps things adventurous so while changes in the story are surprising they’re not mutations of tone or genre. 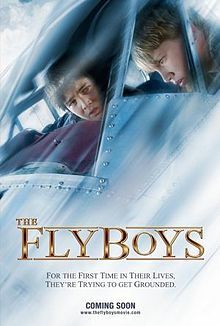 This movie is part of the reason that this list is called “Favorite” and not “Best.” I don’t usually distinguish between the two but this is the rare film in my estimation that garners that elusive title of “So Bad It’s Good.” It has an audacious script by David S. Goyer (pre-Nolan Batman films) and a great albeit dubbed evil kid performance by Daniel Cerny, good flashbacks and chemistry between leads. For all its faults, which are myriad, I still found it to be very enjoyable to watch. Beyond that it nearly defies description. I wanted to include it in my 61 Days of Halloween series but I stuck with mostly posting about the original class, this year I may include it. I first saw a film from this series on Netflix but sadly they only offered it with the godawful American dubbing furthermore the US distributor has labeled part two as part one for reasons unknown. So thanks to the magic of the internets I tracked down most of the films and not only is the the first one I saw another film when watching it subtitled the series absolutely refuses categorization and gets curioser and curioser as it goes and you never really know what genre you’ll stumble into making it even more fun. 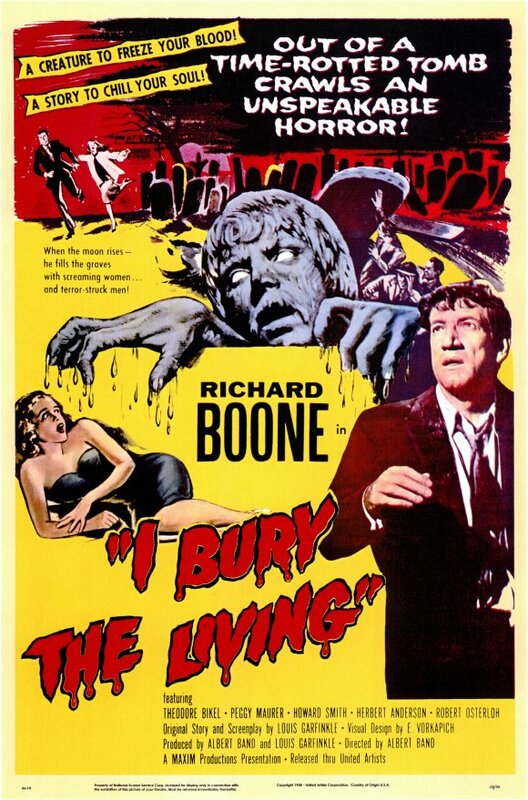 This is another Danse Macabre special and after I was finished watching I could not find enough superlatives to laud it with and it held up on second viewing too. Dan Curtis brings to this the same palpable tension that imbues Dark Shadows minus the markings of daytime TV. I was quite literally gobsmacked when I was done watching it. 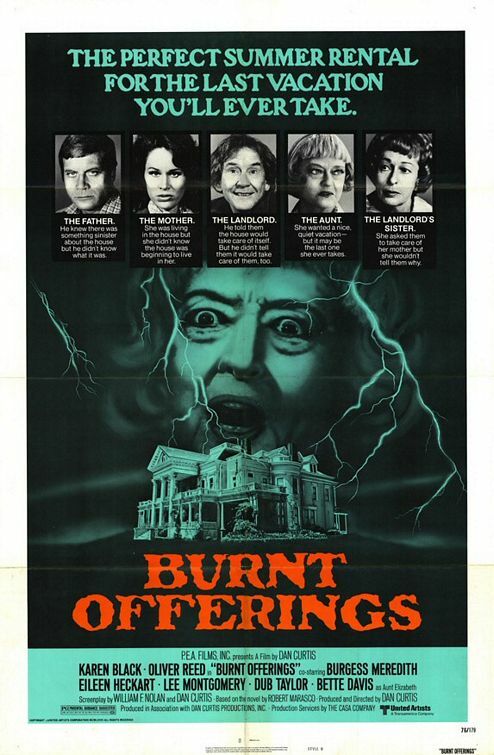 This was a film that I also found thanks to my seeking out found footage films worth watching. What’s most compelling about this film is its construction. It’s an after-the-fact mockumentary that incorporates a lot of found footage and it also provides some amazing and chilling twists and turns. Proof that I have diversity in this list is that I have things from B-grade horror/comedy to this long lost (to Americans anyway) film by Ingmar Bergman. I have been enamored with Bergman’s work since I first saw it and slowly but surely have seen all I could get my hands on, owning most of it. The funny thing about Face to Face is that I actually read it before I saw it. I happened upon a script one day, in an old pocket book edition, read it and I still have a photocopy in my files. 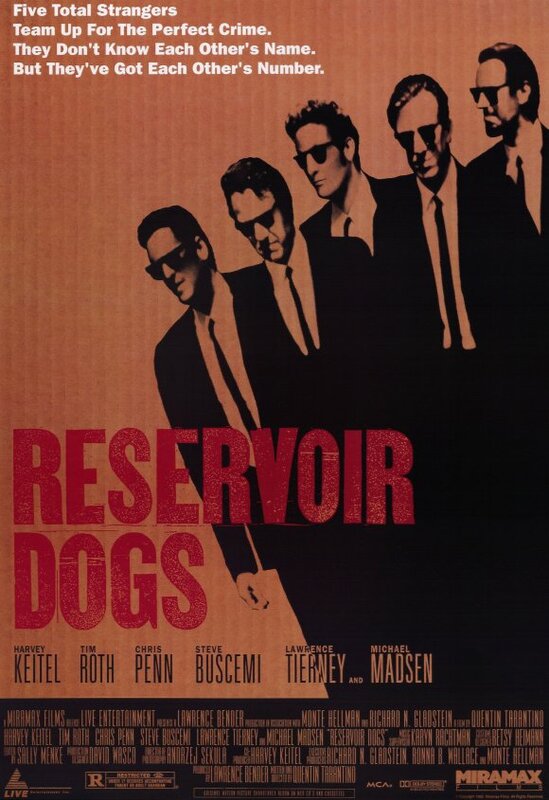 The film is much more vibrant and crystal clear to me than the script was, I have read a few other Bergmans and didn’t encounter that particular quandary. 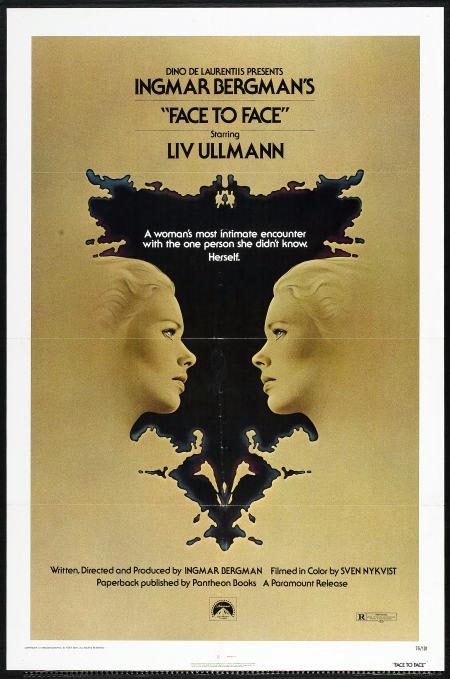 Regardless, it’s quite the mind-play and one of Ullmann’s strongest works. This is a fascinating film which actually prompted me to buy the short novel its based on. I think the adaptation is really great not only because it manages to capture the right elements and change a few that it needs to but it strips the inner-monologue from all characters, which while illuminating leaves less of an air of mystery to the tale. 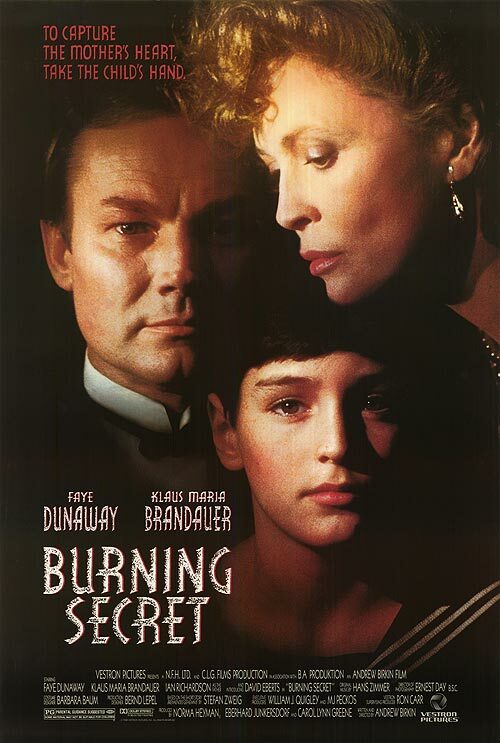 It also allows the film to be quite visual and features great performances by all three featured players Klaus Maria Brandauer, Faye Dunaway and David Eberts, in his only role as an actor. I was fortunate to win this in a Twitter giveaway (so enter them, you can win) and I must say I was laughing from start to finish, as I was supposed to. 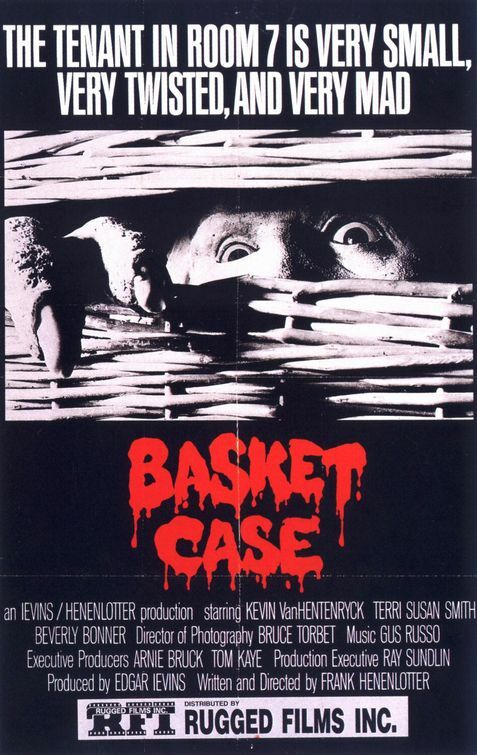 As I said under Basket Case I felt this one was much more skewed towards comedy and maybe the better for it. Hilarious. So there’s my list. This year’s is taking shape and who knows how different it will be I’m much more tuned in to 31 Days of Oscar this year, anyway, I’m very glad I did this because if anything it’ll keep me (and maybe you too) on the lookout for older treasures.